Texas church massacre: Why did it happen? Mass murderer Devin Patrick Kelley was a violent, domestic abuser, who was kicked out of the U.S. Air Force and passed the time mocking religion and proselytizing for atheism. On cue the Left did what it always does after gut-wrenching tragedies, using the attack to call for more assaults on Americans’ Second Amendment rights. Of course Barack Obama led the way. Others say Kelley’s hostility to religion may have motivated the assault. 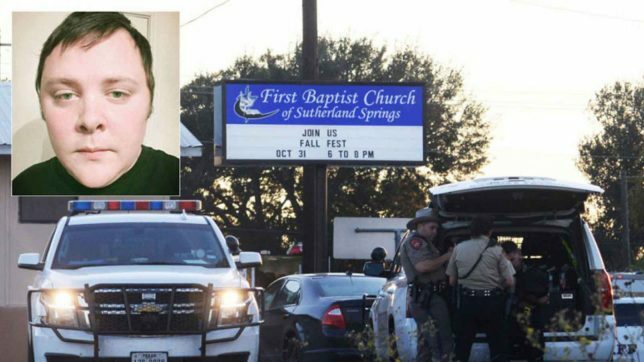 Wearing black tactical gear and armed with a military-style rifle, the 26-year-old fired at least 450 rounds, killing at least 26 people and wounding 24 early Sunday at the First Baptist Church in Sutherland Springs, Wilson County, Texas, less than an hour’s drive southeast of San Antonio. Investigators say Kelley entered the church with the intention of killing everyone there. When reporters tried to get Trump to say more useless gun control measures were needed to prevent future mass-shootings, he refused to take the bait. President Trump said during a visit to Japan that the massacre “isn’t a guns situation” but a matter of mental health. “I think that mental health is your problem here. This was a very — based on preliminary reports — very deranged individual. A lot of problems over a long period of time. We have a lot of mental health problems in our country, as do other countries,” he said. Former President Obama, however, used the killings as an infomercial for more useless gun control. “May God also grant all of us the wisdom to ask what concrete steps we can take to reduce the violence and weaponry in our midst,” said the man who never hesitated to use his bully pulpit to attack America’s free institutions in times of tragedy. Chris Kennedy, a Democrat running for Illinois governor, threw down for more gun control. 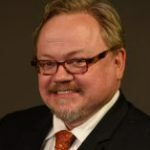 Kelley’s rampage was ended by armed local residents, including former NRA instructor Stephen Willeford. Johnnie Langendorff and Willeford gave chase after Kelley tried to flee the scene of the crime. They found Kelley’s dead body. It is unclear at this time if he killed himself or succumbed to his wounds. Police found weapons and possible explosives in his vehicle. They also searched Kelley’s home Sunday night. “I’m no hero, Willeford said. “I mean, I am not. I think my God, my Lord protected me and gave me the skills to do what needed to be done.” Who knows how many lives Willeford’s heroic actions saved. Early reports that Kelley was an Antifa supporter or somehow affiliated with that movement, appear to have been unfounded. A review of his social media profile revealed he had “liked” several atheism pages on Facebook and was a fan of CNN. It is always difficult to look into the heart of a depraved killer, but some have suggested that Kelley’s bloody rampage was motivated by animus toward Christianity or religion in general. Former classmates of Kelley have described him as an “outcast,” “creepy,” “crazy,” and “weird,” the Daily Mail is reporting. Others said he discussed “how people who believe in God were stupid” and “preached his atheism online.” His online rants lost him friends. But Freeman Martin of the Texas Department of Public Safety said at a presser yesterday that the massacre was not related to religion. The suspect’s mother-in-law was an attendee at the church in question but was not present during the attack Sunday. “There was a domestic situation going on with this family,” Martin said. But that doesn’t mean Kelley’s hatred of religion wasn’t a contributing factor in his decision to try to obliterate a church’s congregation. It is clear that Kelley was not a good man. Unlike what often happens after a spree-killer leaves his mark on a community, no one stepped forward to say he was a good, quiet person who could never do what he did. He pushed away friends, got in trouble with the law, abused his dog, and was expelled from the military. He beat his wife. He also beat his toddler stepson with such force that the child’s skull was cracked. NBC News reported that two of Kelley’s ex-girlfriends said he became violent or stalked them after they ended their respective relationships with him. Prosecutors dropped other charges as part of a plea bargain. One of the allegations was that he pointed a loaded gun at his wife several times. A court-martial sentenced him to 12 months of confinement and stripped him of his rank. When the prison sentence was complete, he was given a bad conduct discharge. His conviction should have prevented him from owning firearms. The Air Force has reportedly admitted it failed to file the appropriate paperwork to report the conviction to the FBI, as required by law. So Kelley bought several guns. Texas Gov. Greg Abbott (R) was outraged. Bureaucratic error, not weak gun laws, also reportedly allowed white-supremacist Dylann Storm Roof, who slaughtered nine people at a church in South Carolina, to purchase the weapon he used in the attack. “Then-FBI Director James Comey said Roof’s admission to a drug crime wasn’t properly entered into the FBI’s background-check system—allowing him to purchase the firearm,” Newsweek reported, citing a Washington Post report. So perhaps the Left’s efforts to convert the Sutherland Springs church massacre into a sermon pressing gun control will fail. The gun-grabbers will be back at it the next time a tragedy presents itself.